If you want to be successful, you've got to have the right attitude. And to get the right attitude, you've got to speak the right words. Attitude Is Everything for Success: Say It, Believe It, Receive It explores the power of words and shows how they impact your attitude-and your success. Discover 30 key words that will reprogram your attitude and help bring you the success you've been waiting for! Using affirmations, quotes, anecdotes, and directives, Keith Harrell gives you daily motivational "power snacks" that will redirect your thinking, lift your spirits, and get you centered and back on course. Savor these juicy morsels of wisdom and elevate the quality of your life by developing a winning attitude that will enable you to accomplish any goal. 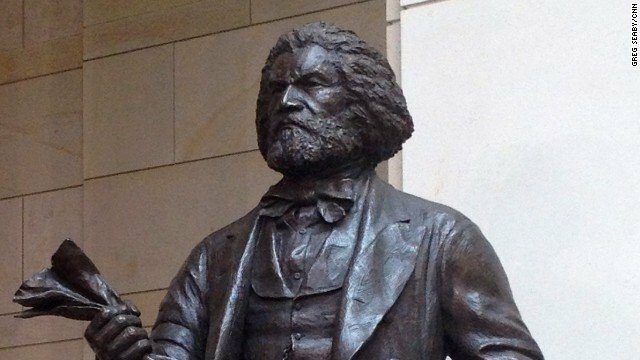 A statue honoring activist, abolitionist, author, and former slave Frederick Douglass was unveiled at the U.S. Capitol on Wednesday. A crowd was on hand to watch the dedication of the statue inside Emancipation Hall. Douglass becomes the fourth African-American with a statue in the U.S. Capitol, joining Rosa Parks, Sojourner Truth and Martin Luther King Jr. The ceremony honoring Douglass was organized by House Speaker John Boehner and attended by Vice President Biden as well as some of Frederick Douglass’ ancestors, among others. Sen. Harry Reid took the opportunity to bring attention to District of Columbia statehood since that was also an issue Douglass championed. “It’s right and fitting that Frederick Douglass, this extraordinary man, this unflinching voice for freedom, this unyielding advocate for justice should be honored with an enduring monument. It is just and proper that more than 600,000 American citizens who reside in the District of Columbia should finally have a statue representing them here in the United States Capitol,” Senate Majority Leader Harry Reid said. Reid continued, discussing how D.C. residents have all the burdens of citizenship but not all of the rights. Kentucky, or any other state. Washington, D.C., residents deserve the same right to self-government and congressional representation as residents of any other state,” Reid said. The statue of Douglass is 7 ft. and 1700 pounds. Speakers at the ceremony also spoke of how Douglass, who taught himself to read and escaped slavery, never surrendered in the face of oppression. RIVERDALE, Ga – Dr. Evelyn Wynn-Dixon has come a long way. Her story is a testimony to her ability to overcome the odds and persevere through difficult times. At her lowest point she was a homeless single mom raising four young kids who contemplated suicide by throwing herself off a bridge. In a frantic attempt “to find a way out” Wynn-Dixon made her way to Pryor Street Bridge in Atlanta, overlooking I-75, and was prepared to jump. She says her life spiraled out of control after she became pregnant during her first semester at Fort Valley State University. 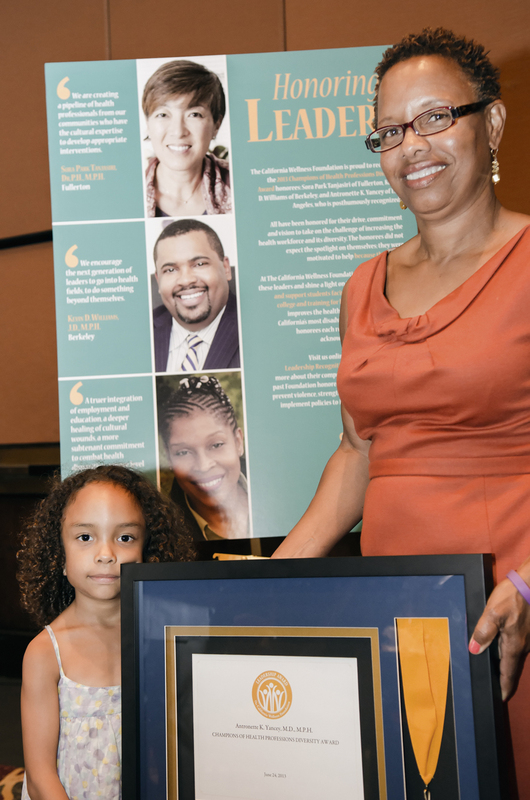 Dixon, a high school honors student, was forced to abandon her scholarship and drop out. Upon returning home, her mother passed away, leaving her with a six-month-old baby to care for. It took many years to recover. But Dixon knew her only option was to educate herself out of welfare. She went back to school, earned an associate degree and later a Bachelor of Science. In her early forties, Dixon graduated with a Masters from the University of Georgia with her two sons. Later she completed a PhD in public health and forged a successful career as a case worker at Atlanta’s Grady Hospital, specializing in neurology, before taking on a new challenge as director of a hospice. Still, it has been a difficult journey. When she first returned to higher education she made a six-mile trek from school to home because she was unable to afford public transportation. In 2007, at the age of 59, with no prior political experience, Dixon launched a campaign to become mayor of the City of Riverdale in Clayton County, Georgia. “I never desired to be in politics, never ever.” But Dixon, a devout Christian, says a prophetic vision and the hand of fate opened doors for the start of a new chapter in her life. “I prayed for it to be a sweat-less victory and for God to order my steps,” says Dixon, who was already well-known in the Riverdale for her commitment as a community foot soldier. Since the early 1990s the city has been blighted by unflattering crime statistics coming out of the county that are higher than Georgia’s state average. Clayton County school system also lost its accreditation in 2008, which it regained in 2009 for a two-year probationary period. Dixon believes the city has so much potential. It is only 15 minutes south of Atlanta Hartsfield-Jackson International Airport, one of the busiest airports in the world. The area is a commutable drive to downtown Atlanta. When finding a steady source of portable water is challenge enough in the developing world who has the time - or water- to take a shower? One South African student may have the answer with a unique, water-less shower gel—that he invented on his dumb phone. DryBath, as the gel is called, was developed by 22 year old college student Ludwick Marishane in response to the rankness of a friend. Rubbed onto the skin, like Purell, the gel kills bacteria, moisturizes the skin and, unlike Purell, leaves a fresh scent, according to Marishane's company website, Headboy Industries. One packet—priced at $0.50 for rural communities, $1.50 for corporate types—is enough to wash the entire body and kill 99.9-percent of germs, which should cut down on the disease rate in rural areas onset by by poor hygiene. Marishane also sees the technology being adopted by militaries, hotels, and even airlines. What's really amazing is that Marishane brought the product to market using only his feature phone. From the initial research to building his business plan to developing the patented blend of biocide, bioflavonoids and moisturizers, he did it all without a computer. Steps by Stephens is a shoe company based in Atlanta that produces unisex leather and canvas shoes. We design, manufacture, and retail our shoes – the whole nine yards. We oversee every step. How did you come up with this idea for Steps by Stephens? In high school, I started a few businesses – some were successful and others were failures. During the week of graduation, I realized I spent too much of my own money on shoes. I decided that I could create better shoes while making a profit, and give back. You use the term “we”; who else is in business with you? It’s me and my vice president, Malcolm Conner. He’s my college roommate and we’re both rising juniors. We co-manage the day-to-day responsibilities. What makes your sneakers stand out above other sneaker brands? Our shoes are very comfortable, stylish and a portion of the proceeds from the sales support a cause: hunger. Overall, it’s a good product made from durable material. We market to all demographics who can wear the shoes anywhere. How are you addressing hunger? For every pair of shoes we sell, we provide three meals to a child in need. We have a partnership with Communities in Schools, a dropout prevention program that partners with Atlanta Public Schools. They connect us with the students in need of the meal, whose parents are experiencing hardship. We provide a free meal and/or non-perishable goods. Right now, we have dark brown and navy blue. We’re releasing the red ones in time for the Fourth of July. They will be available online by July 2, 2012, at stepsbystephens.com. What is your vision for Steps by Stephens in the next 2-5 years? We are definitely going to be available in mass retail locations. Without sharing too much before a deal has been signed, we have offers now to go nationwide. Emmanuel Ohuabunwa not only graduated from Johns Hopkins University with a degree in neuroscience, but he did so with a 3.98 GPA. Ohuabunwa who hails from Abia State, has been able to make the nation proud and with his efforts has won himself a scholarship to Yale University to get a degree in Medicine. He has also become a member of Phi Beta Kappa Society, a prestigious honor group that features membership of 17 US Presidents, 37 US Supreme Court Justices, and 136 Nobel Prize winners. Ohuanbunwa will attend Yale University Medical School in the fall. Congratulations to Emmanuel Ohuabunwa on this phenomenal achievement! A man is as a man does; not says, hopes, nor promises. 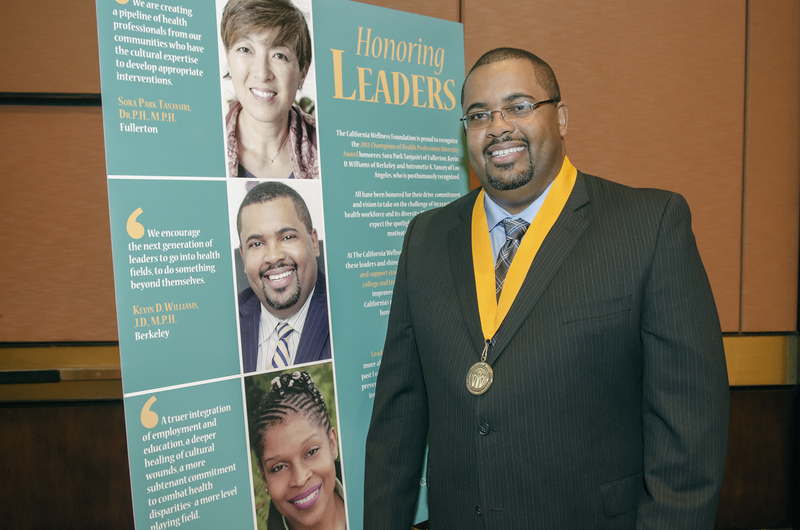 Derrick Jaxn(Jackson), a native of Enterprise, Alabama, found his purpose in his exceptional ability to impact lives by relating to others through literature. 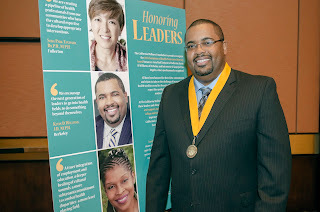 As the youngest of 5 in a single parent household, he witnessed his mother overcome life threatening illnesses while working multiple jobs, which would later become the catalyst in his drive to impose a standard of excellence, logic, and originality on a world dictated by blind conformity. 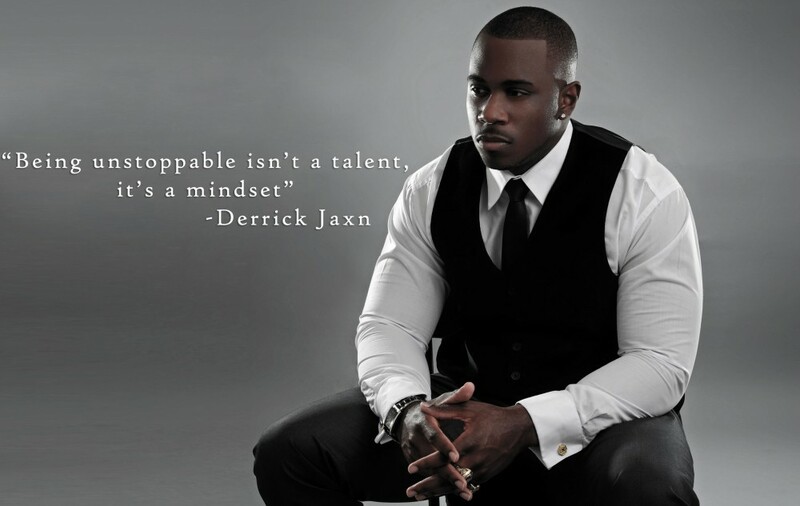 Derrick Jaxn founded a non-profit teen mentoring organization, won national and multiple conference football championships, was a community leader, and landed a position in Fortune 500 corporate America, all before completing his undergraduate studies at the historic Tuskegee University. While his story is nothing short of inspirational, more importantly, it’s only just begun. In a considerably short amount of time, he’s taken his personal blog from being a diary of thought and perspective, to a lifestyle pulpit that millions have experienced and found value in for themselves. Popular articles such as “12 Things She Wishes You Understood” and “The Wake Up Call, Sincerely Trayvon Martin” have been shared among social network users over 75,000 times each. Even as a lifestyle blogger, Jaxn continues to express himself across various mediums, in particular his highly anticipated first publication, “A Cheating Man’s Heart”. He has an undeniable talent, unwavering ambition, and boundless potential to be one of the most influential men of his generation. On Tuesday, Shaquille O’Neal announced that he is planning to open a children’s hospital in Louisiana. The hospital will admit and care for sick youth free of charge. During an event at which he was being inducted into the Louisiana Sports Hall of Fame, O’Neal took the opportunity to make the announcement. He also wants to make it abundantly clear that this was not just a sudden decision made with no real game plan. Shaq says he has been in talks with Our Lady of the Lake Hospital in Baton Rouge in hopes of making this venture a reality. O’Neal is an alumnus of Louisiana State University where he played basketball and rose to stardom after being drafted by the NBA. Shaq says that he wants to give back to Louisiana because of all the opportunities that the state has afforded him. He particularly spoke of the gratitude that he has for LSU and the way that the school helped shape him into the man that he is now. I think that it’s great that O’Neal wants to give back to the people that gave him his start. I am especially glad that he is going to an area that is in dire need of medical care for its disenfranchised citizens. Our Lady of the Lake has written a detailed layout of problems that Louisiana faces in regards to health care that can be found here: http://www.ololrmc.com/workfiles/FMOLHS_FactBook.pdf. Time will tell if Shaq’s can be the turn around that the state needs but at least it’s a step in the right direction. We all know that rising obesity rates are having unprecedented negative effects on physical health as well as the economic viability of our healthcare system, and indeed our entire nation. Despite growing recognition of the role of physical activity in combating this epidemic, there has been little documentation of successful physical activity programs in the workplace, and many schools have cut physical education programs and even recess. The benefits of integrating physical activity into the work or school day are too numerous and important to ignore. I look at the challenge a little differently than some folks. Given my working class upbringing and experience running health promotion programs in the inner city, I take a common sense approach. If people won't move toward active recreation, then we have to build it into their routine. Nothing gets adopted just because it’s good for you. Instead of framing it as obligation and work, we need to make it about fun, & stress relief! It has to fit into your life, be reinforced by social norms and be simple. We can’t focus only on individuals motivated to adopt healthy behaviors on their own time. In order to make real progress, we need a simple solution that’s fun, cost effective and widely accessible – especially to those who need it most. That’s why I created Instant Recess®. Instant Recess® is infused with all the fun and freedom you got from recess in the schoolyard. Simply put, it’s a brief, low-impact, simple and structured group physical activity, integrated into the routine of the work or school day -- and, especially, during those endless meetings. Over the long run, these short activity breaks entice everyone to adopt healthier lifestyles through more water, fruit and veggie intake, and more exercise during non-work hours. When leaders in the organization participate, it creates a low-pressure opportunity to build relationships with the team, enhancing engagement. Kids learn that activity and fitness is normal and fun, and not just for super athletes. With hardly any financial investment and taking very little time from the work or school day, we’re finding that What’s good for the waistline is good for the bottom line, whether the bottom line is company profits or academic performance. BlackGirlsCode is in the race for $50k from Windows. AzureDevs are changing the world through code. We'll donate $50,000 to the organization with the most votes, $20,000 to the second highest, and $10,000 to each of the three runners up. Beyond helping some great technology education nonprofits, as an AzureDev, you'll gain access to exclusive content and technology leaders from Microsoft and the community throughout the year. So join the community and vote for your favorite nonprofit from the list below. Known across corporate America for his energetic, innovative presentations, Keith's unique style of delivery, solid content, and practical application, spiced with the right amount of humor, leaves his audiences ready to take action! Keith speaks from his own leadership experience and what he has gleaned through his interaction with some of the world's most respected business leaders. He spent fourteen years as a corporate marketing executive and top training instructor at IBM. Today he addresses audiences at more than 120 events annually for corporate clients such as McDonald's, Microsoft, and American Express. It doesn't take long to understand why The Wall Street Journal calls Keith Harrell "a star with attitude." Speaker, consultant, and author, Keith continues to mesmerize and motivate audiences with his charismatic style, humorous insights, and contagious high energy. Written several best-selling books, including Attitude Is Everything, showing people how to achieve their personal best in business and in life. Earned the highest designation presented by the National Speakers Association, "CSP" or "Certified Speaking Professional." Spoken to hundreds of organizations such as Coca-Cola, Boeing, Bellsouth, Merrill Lynch, and the CIA. Been named by one of the country's leading lecture agencies to its list of the "22 Guaranteed Standing Ovations!" Won the prestigious Council of Peers Award for Excellence conferred by the National Speakers Association. Only five speakers of 5,000 annually are bestowed with the honor. 19 Year-Old Britney Exline Is Youngest African American Engineer in the U.S.
At 19 years-old, Britney Exline has already graduated from the University of Pennsylvania. She is the youngest engineer to ever graduate from Penn, and our nation’s youngest African American engineer! Just imagine the potential this young lady has. With her youth and advanced study, she has the chance to do something great. But the best part about Exline might be her humility. “I don’t think of myself as extraordinary,” she said.